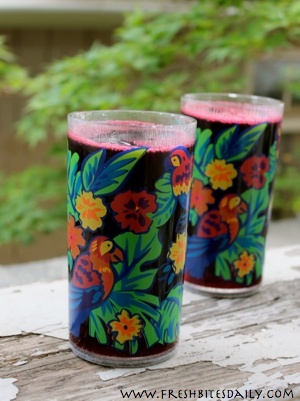 As we struggle to survive the summer heat, hibiscus syrup is a staple in our household. I first tasted it when I was a young girl attending Mexican parties — a rosy drink called “Jamaica.” Apparently you can’t have a party without the striking red, fruity drink if you are of Mexican ancestry. Hibiscus is known as “Jamaica” in Spanish and is popular in beating the extreme heat. 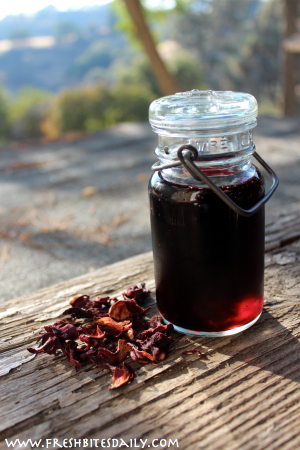 We keep dried hibiscus by the gallon in our pantry, ready for summertime. In our hibiscus frenzy, we have found hibiscus “syrup” to be the most convenient way to use it by far. You prepare hibiscus like you would any tea but, in this case, you make it extra-strong and let it steep for a couple of hours. Strain, sweeten, and cool and then use it as an ingredient in any treat that strikes you. The only warning with hibiscus is that it can stain so you probably want to send your toddlers outside with their hibiscus popsicles. Place one cup of dried hibiscus in a pan. Cover hibiscus with water, about two cups. Heat to just above boiling. Sweetened to taste, about one cup sugar or 1/2 cup honey. As you have experience with hibiscus you will want to adjust your sweeteners. This recipe is not very sweet but your dietary needs may require you to reduce the sweeteners. You may want a sweeter mixture if you are using this in desserts. In terms of sugar, a whole sugar like rapadura works in this recipe well. The beauty of the syrup is its flexibility. Our most common use is simply to add it to sparkling water and create a hibiscus soda. As with any syrup, just add it to taste to the sparkling water. The obvious extension is the popsicle. 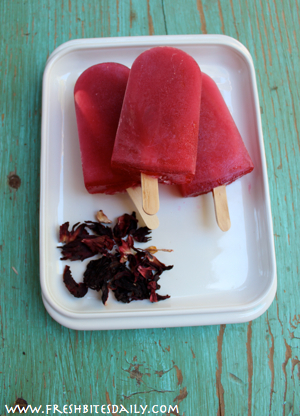 I actually keep hibiscus popsicles stock in the freezer. To make a popsicle, simply add your syrup to some water (or even to lemonade). Adjust the mixture to suit your tastes and pour it into popsicle molds. For more excitement, you can add whole berries to the pops first. Berries arrive in the heat of the summer making it an obvious marriage. I have used hibiscus syrup in gelatin desserts as well simply using a hibiscus tea as the liquid base in the gelatin. 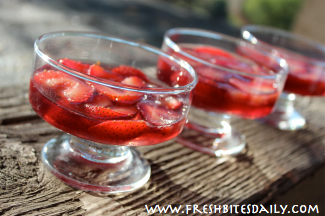 In the picture here, I then poured it over fresh strawberries. It is simple and you simply cannot miss. 2 Comments on "Hibiscus Syrup for Convenient Summer Treats and Wintertime Tea"
What a wonderful idea — thank you! Information only, you can purchase organic hibiscus flowers from Mountain Rose Herbs for $8.50. They also have whole organic flowers available at a higher price, but that wouldn’t be necessary for this recipe. 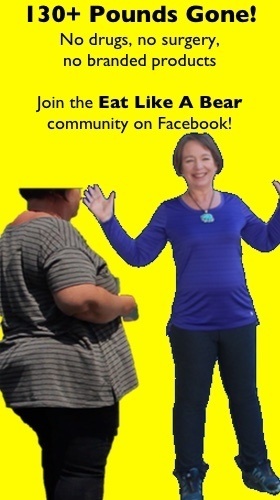 I love the newsletter and learn so much from the recipes — you and your mom are wonderful.